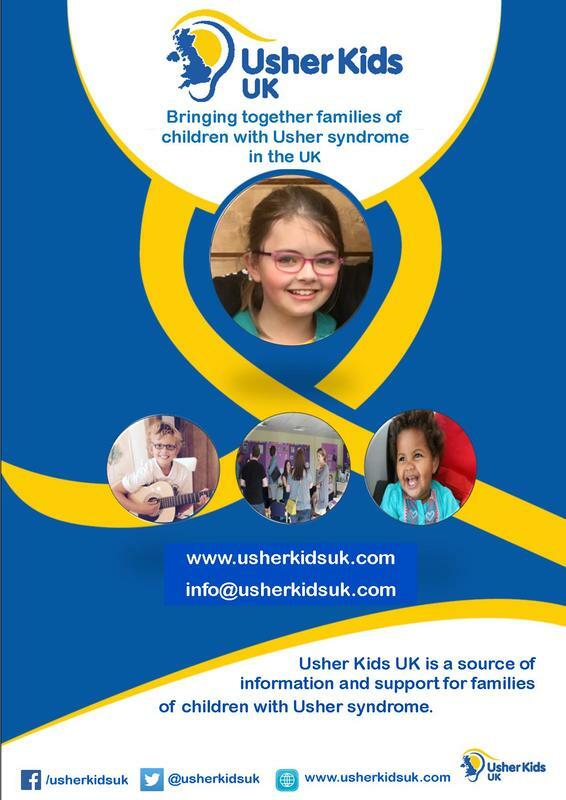 Usher Kids UK has been set up to support, inform, connect and advocate for children with Usher syndrome and their families. ​The diagnosis of Usher syndrome can raise lots of questions for families. We hope that Usher Kids UK can help point you in the right direction in your journey to find answers to those questions, and help you build confidence in the path ahead for your child. saturday 22nd june 2019: "connect usher"
For the first time, the Usher Kids UK community will have the opportunity to come together and experience a one-stop event designed to address the specific needs of families and children living with Usher syndrome. Speakers are confirmed from the research sector, eye clinics, support services, education sector and more. Experts from each of these areas will be able to answer your questions and share their insight from their experience of working with children and families with Usher syndrome. Children will be able to meet others who understand their condition, and build their own network of friends they can learn from and lean on as they grow. Cadbury's World and Birmingham City FC will be coming along to help the children make memories together and have fun. Parents can listen to speakers and also join in with discussions to explore their needs and concerns. In doing so we will be building our own Usher family here in the UK to help connect families to the support they need. in Birmingham, UK, on Saturday 22nd June 2019. ​Imagine finding out your child is not only profoundly deaf, but will eventually go blind. Two Melbourne families whose sons were born with the same rare, genetic condition are on a mission to create the brightest possible future for their little boys. Five-year-old Harry Feller has Usher syndrome. He's profoundly deaf and relies on cochlear implants to hear. With no cure, he faces the grim reality of eventually losing his eyesight as well. Harry’s mum, Hollie, remembers the early days after Harry’s diagnosis and the shock she felt. Usher syndrome affects just four in 100,000 people and one of the biggest issues for those suffering with it is a lack of support because there's such a small community. 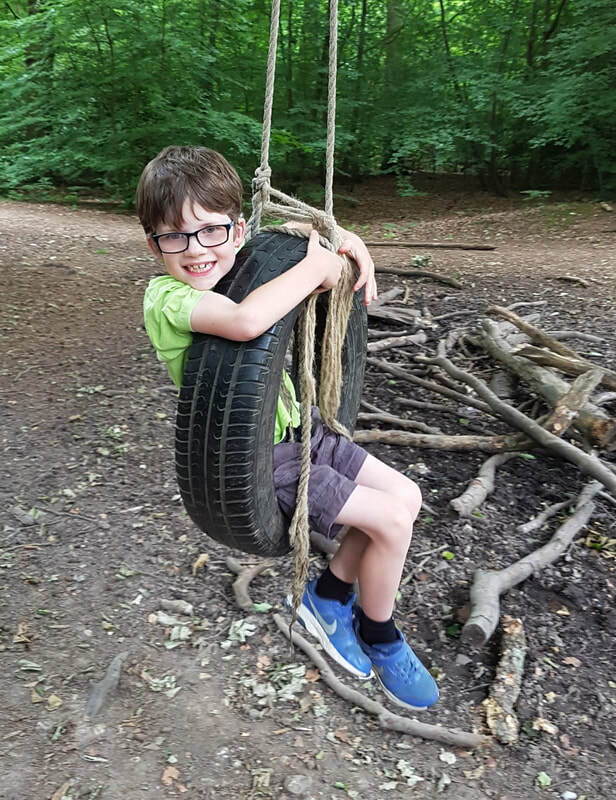 So you can imagine the surprise Harry’s dad, Daniel, felt when he came across a newspaper article about Louis, another little boy who also has Usher syndrome, who is also profoundly deaf and ... who also lives just around the corner. Hollie and Daniel reached out to Louis’s parents, Emily and David Shepard. “When we were contacted by Hollie and Dan, that was a great moment for us," says David. "It was one of the reasons we first started to put ourselves out there into the public spotlight." When Louis was a baby, he was diagnosed with profound hearing loss, but his parents believed there was more going on. As a toddler, Louis was slow to sit up, he was slow to crawl, he was “floppy as a baby”. “He would have tantrums and clench his fist and shake his body,” David recalls. Louis is likely to be blind by the age of 10. David says his son’s eyes are already beginning to deteriorate. “We had learnt to navigate the world of deafness and now we had to navigate this new world of blindness and we were just starting from scratch again," he notes. Emily and David set about making Louis’ experience of the world as visually rich and thrilling as possible before it was too late. Driving a train and riding in a helicopter was great fun, but at the end of the day, what they really wanted was to connect with another family. Harry had never seen another child with cochlear implants and Hollie says the moment the two boys connected It was an instant friendship. Since becoming a part of each other’s lives, Hollie and Emily have joined forces and set up Usher Kids Australia, an organisation that connects families with Usher syndrome kids throughout the country. Hollie and Daniel have also set-up Genetic Cures Australia, to research gene-based therapies that could correct the gene that causes blindness in Usher syndrome. The good news is a genetic treatment might be ready in about five years. The bad news is by then, it might be too late to save Harry’s vision. Both families are preparing themselves that one day their sons will be blind. Meeting Paralympic triathlete and Usher Syndrome sufferer, Jonathon Goerlach, has helped Louis and Harry imagine a bright future for themselves, despite potentially living in darkness. “I have to say meeting Jonathan absolutely changed all my preconceptions of an Usher adult," says Hollie. "He is so positive, he has a really strong mindset and he is able to be completely independent." Jonathon says that from his experience, the diagnosis of Usher syndrome is tougher on the family than it is on the individual. "We have a new family – we have an Usher family," David says.